Too often our inner critical voice takes over and adds to our daily stress and over time contributes to anxiety. Are you hard on yourself or often find yourself saying things like “I wasn’t good enough” or “I wasn’t smart enough,” etc…? These internal messages act like a bully that minimizes our self-esteem and self-confidence. So, why do we let these messages take control? Well, the majority of people aren’t even aware of this type of cognitive messaging that takes place on a daily basis, for some, and the lack of noticing this pattern deprives one of taking control and doing something about it. This blog is intended to increase awareness and mindfulness for what can seem as an instinctively based behavior of being self-critical. There are too many things in our lives that we can’t control, but the one thing that is truly in our hands and we have total power over is how we think about things, situations, people, and ourselves. With that said, I challenge you to take a few minutes a day to practice self-compassion, which boosts our stress immunity/resiliency and fosters self-kindness. It also emphasizes on loving one-self and accepting any limitations or weaknesses. The typical human condition is one of imperfections and making mistakes. The more we become accepting of this reality, instead of fighting against it, the more we are able to feel compassion for ourselves and others. Below are some ways to begin incorporating mini doses of self-compassion in your daily life. Give yourself the same kind words that you would give to others. Be grateful and thankful to your body every day for what it has done for you. For example, thank your body for being strong for you and thank your breath for always being there for you. Remind yourself that everyone has problems and that you are doing the best you can with them. Set a daily intention for yourself in the morning before you start your day and focus on how you can be your most authentic and best self. When feeling discouraged or thinking poorly of self, develop a self-compassion mantra. Dr. Kristin Neff (author of “The Mindful Self-Compassion Workbook”) offers several comforting phrases to use. The main emphasis is on being kind to one self. Establish a daily practice of Yoga and Meditation that has proven to activate your ability for self-compassion. If you want a healthier and a happier life, self-compassion is a key ingredient. This is an act and practice that you have full control over and no one can take that from you. 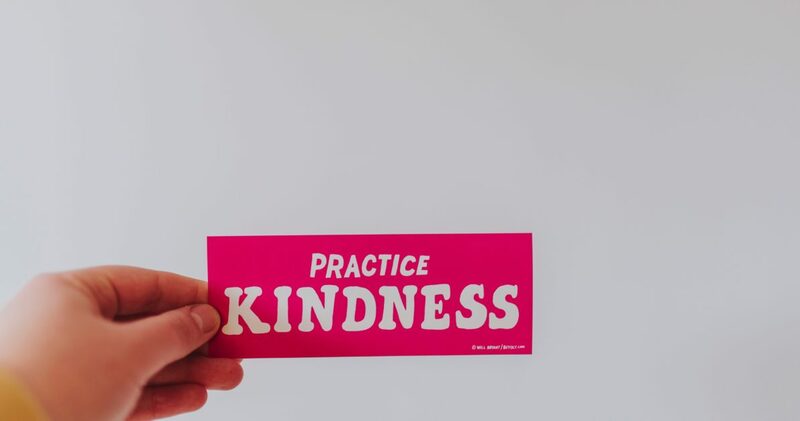 Begin today with a mission of incorporating mini acts of self-compassion in your daily routine.